Pursuing my passion in music, I became a piano teacher since 2001. A dedicated and caring teacher, my lessons bring out the best in every student. My lessons focus on refining piano technique and listening skills, cultivating musical expression and excellence. Clear goals and practice tools equip students to progress well. 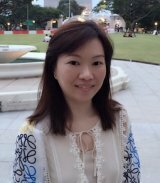 Click to read on Piano Lessons and Music Theory Lessons conducted at my home studio near to Novena MRT between Newton and Toa Payoh located in central Singapore. Click to read on my Teaching Approach. Click here to read on Student Achievements and Student Testimonials. Well-equipped to teach students of all levels, I hold several highly-regarded diplomas in both performance and teaching, with piano performance at the most advanced fellowship level and piano teaching with distinction at the licentiate level. Ruvim Ostrovsky, Piano (Petrosavodsk Music Academy, Russia). I was a top student in the Music Elective Programme at Tanjong Katong Girls' School. In my 'O' levels, I passed with 8 distinctions including music. For the 'A' levels, I scored 5 distinctions and received the College Advisory Committee Award for Academic Excellence at Temasek Junior College. At Nanyang Technological University, I graduated with 2nd class upper honours in Accountancy. Upon graduation, I spent with KPMG for two and a half years, leaving KPMG as an audit senior in 2001 to pursue a career as a piano teacher. Today, besides teaching piano, I enjoy performing with fellow musicians and attending masterclasses by accomplished pianists. I have performed at the Esplanade on two occasions with like-minded friends and musicians. In between teaching, I actively participate in professional development programs organised by the ABRSM and Trinity College. At Tanjong Katong Girls' School, I was Chief Music Librarian for our audio library. In my holidays, I worked as a pianist for ballet classes at Yamaha. I also facilitated a teachers' workshop held by the Royal Academy of Dance as a pianist. In college, I performed as a violinist with the Temasek Chamber Ensemble which was awarded the Singapore Youth Festival Certificate of Distinction. Combining my love for travel and music, I often visit musical cities and find opportunities to watch concerts and masterclasses. 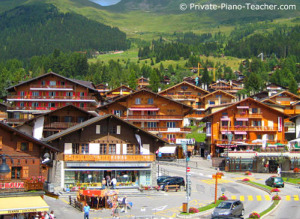 Top places so far are the Mozarteum Summer Academy in Salzburg and the Verbier Music Festival. My other interests include nature, horseback-riding and reading. A member of Trinity Christian Centre I play the keyboard in the church's Creative Ministry.